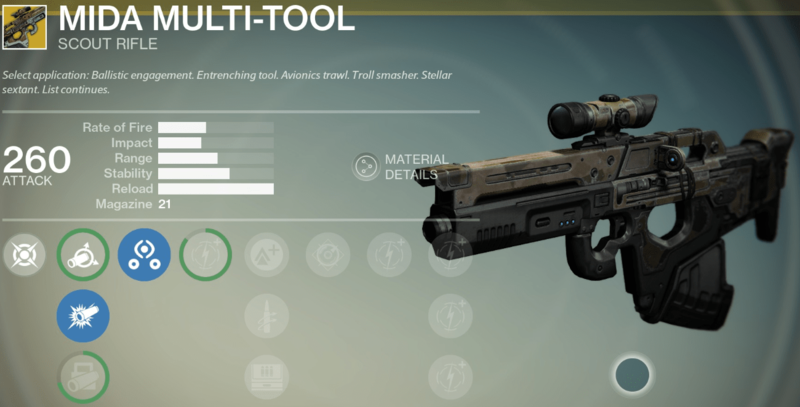 MIDA Multi-Tool is an Exotic Scout Rifle. Click here to compare the Exotic scout rifles. The good: Super fast reload/equip speed. The bad: Impact and range are below average. Conclusion: Perks aren’t very effective in PvE, but an amazing PvP weapon. This weapon boosts move speed and fires on a hair trigger. The MIDA Multi-Tool is an Exotic scout rifle sold by Xûr, won from the Cryptarch, or received as a reward from PvP/PvE. It keeps true to its name, in that it is a weapon that can be used in almost every situation. Its perks allow you to customize it to your playstyle and overall it’s pretty fun to use. Its namesake suggests a versatility that helps it to handle a variety of situations and, for the most part, it doesn’t disappoint. Its stats are particularly rare among Scout Rifles, and its niche lies in mobility – a strange role for a weapon class whose primary function is sustainable DPS at greater distance. Until the Fate of all Fools is released, this is the only Exotic Scout Rifle available. The MIDA Multi-tool has respectable base stats with a few notable front-runners. 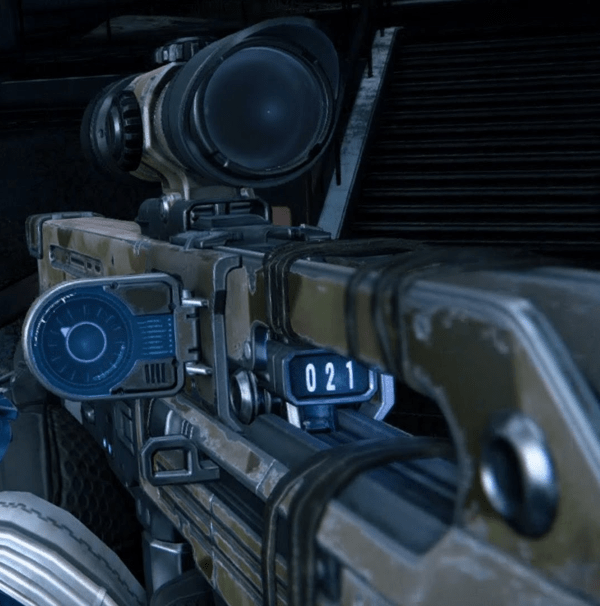 Its RoF of 42 is unusually high for the Scout Rifle. The two most popular variants, to which the Saterienne Rapier and Gheleon’s Demise conform, have 37 and 27 respectively, leaving the MIDA a hair faster than these worthy alternatives. With the quickest reload speed available, the MIDA reloads practically instantaneously, completely eliminating the need for gear reload buffs or other reload perks such as Outlaw that are often required to make its competitors viable. Its Stability is not especially stalwart, but is serviceable to handle its RoF without an unreasonable muzzle climb even at its maximum fire rate. The Magazine size of 21 (27 with Field Scout) is just enough to allow for prolonged fire when necessary. As far as perks go, the MIDA has a useful array that complement its role nicely. Third Eye is very well-suited to the MIDA’s mobility-heavy profile, allowing Guardians to maintain constant radar uptime even when ADS. This perk is especially excellent for PvP, while being acceptable in PvE as well. Its third row options are a mixed bag, but there are standouts. Lightweight grants +2 to Agility in all circumstances, and again synergizes well with this weapon’s main draws. Field Scout is a viable alternative for those who want to be able to never let off the trigger in PvE, increasing the magazine size to an insane 27 and providing extra reserve ammo. Its signature Exotic ability boosts movement speed and lets the weapon fire on a hair trigger. This movement speed boost is very noticeable, and applies while both walking normally and while ADS. Its comparable to Single Point Sling, but is not limited to ADS in this regard. To really make use of the increased speed, wear the Radiant Dance Machines while using this weapon. The uses for this perk are manifold, though an obvious plus is the ability to maintain speed in spite of Weight of Darkness stacks in the Abyss in Crota’s End. In addition to this, a fairly recent patch added MIDAs very own personal High Caliber Rounds-esque perk. Every single bullet fired from it possesses the ability to stagger almost any foe. This is a useful boon towards keeping a target locked down and pairs well with MIDA’s flanking-encouraging perkset. Its Impact leaves a lot to be desired, with nearly the lowest Impact among other scout rifles. Although its naturally high RoF helps to compensate, you’ll often be wishing for a bit more oomph. As this weapon also lacks the highly desirable Firefly, there’s no way to improve its trash-disposal utility, and it will be outclassed in situations in which damage is paramount. Its built-in High Caliber Rounds help to keep you alive when your damage is lacking, but it’s still a little disappointing. Moreover, its range is a bit of an outlier among a class that prides itself in being able to handle enemies at a distance. Soft Ballistics does not further penalize it, but it comes at the cost of Impact, which is a steep price to pay even in marginal amounts. CQB and Soft Ballistics offer means of boosting Stability, but in return further reduce your effective Range or Impact to varying degrees. Unfortunately, this is unavoidable, and as MIDA frankly shouldn’t be used as a long-distance killer, we recommend Smart Drift Control. This reduces Range the most of the three, but provides the heftiest boost to Stability without compromising Impact. It forces MIDA into a closer-range niche, but ultimately Scouts have enough base Range to not being particularly troubled in most content by even a moderate nerf. Quickdraw is rather wasted on the MIDA, whose equip speed and general agility-centric profile cause draw times to become a non-issue. Although Third Eye is great for certain situations, it is by and large wasted in PvE content in which the enemy’s location is known and unvarying. 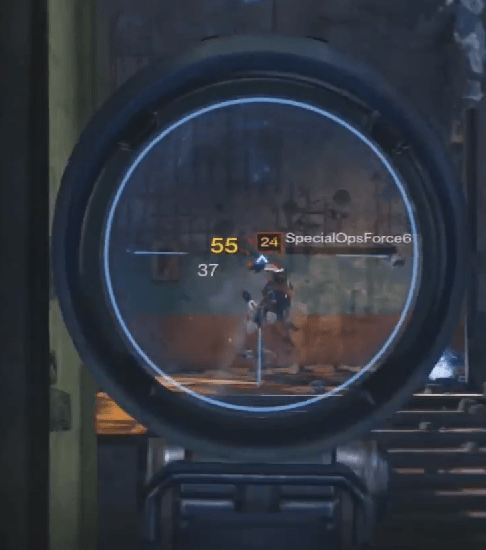 The “hair trigger” function of the signature perk is similarly underwhelming; PS3 users don’t see any benefit whatsoever, and it does not increase the base fire rate – merely the pressure required on the trigger to fire a round. Finally, the MIDA consumes an Exotic slot. In many cases it won’t be enough to get the job done, and those with Icebreaker or Gjallarhorn as usual are going to have a tough time justifying its spot in their setup. Of course, this is true for any Exotic weapon, so it is not ultimately considered in our scoring of this weapon’s potential. However, it is always worth noting. In PvE the MIDA mostly serves the role of a weapon whose job it is to propel a Guardian through content quickly and efficiently. Its signature perk and hidden High Caliber Rounds work in tandem to limit enemy fire reaching you while allowing you in turn to lock down and rapidly dispatch potentially dangerous Majors or snipers. Without Firefly, the MIDA lacks the raw destructive power of some its stiffest competition, but the high Rate of Fire allows it some leeway in this regard. You will reach your objectives swiftly, while maintaining high survivability on the merits of your agility and ability to take cover at the drop of a hat. Although it isn’t strictly “weak” in DPS consideration, if you’re using the MIDA to deal the most damage, you will be disappointed. This weapon is an excellent choice in PvP, depending on your needs. If you are looking to frustrate your opponents by never sitting still or allowing a single enemy to get the drop on you, you’ll be glad you chose it. Its high RoF and staggering rounds can swiftly ruin anyone’s day who happens to be sitting out in the open. It combos well with the Bladedancer’s natural agility and is great for any player whose MO is flanking or rushing. It is a bit wanting in TTK, but if you play right and have sure aim, you will see great success with the MIDA. 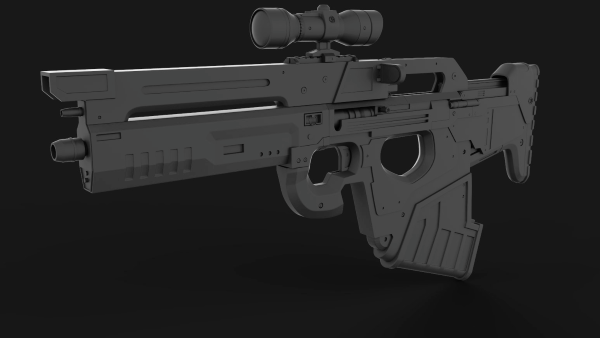 It was built to do a little of everything, so it basically took design elements from each scout rifle. Its scope resembles the typical Scout Ranged Lens RLR5/RLS3 but with a reduced zoom factor of 2.0x for increased visibility in short range encounters. Its fire rate is distinctive, with a curt, suppressed whistle that suggests control and precision. The compass on the side is similar to the one on the SUROS Regime. Early on, there were rumors of the compass pointing to treasure chests or upgrade materials, but these rumors have since been squashed. MIDA Multi-Tool is really designed to fill a high mobility playstyle, but it can also easily fit into anyone’s loadout and be used successfully. The MIDA has seen its share of upgrades, and has come out better because of them. It is an extremely fun weapon to use, and versatile to boot. Although it suffers from damage output problems, it more than compensates with its staggering rounds and unreal speed, both in movement and reload. You will never feel lost on the battlefield, even if you aren’t going to be wasting enemies in record numbers. For PvP this weapon earns a 9.4/10 and for PvE a 8/10.